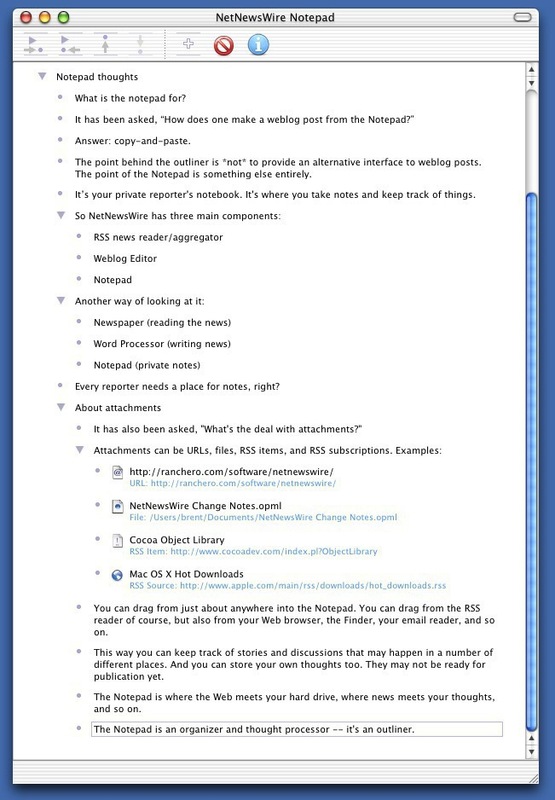 NetNewsWire 1.x included an outliner — a single-document notepad for storing thoughts, links, RSS articles, and so on. The idea was that you’re not just a casual reader, you’re a researcher or blogger or reporter and you need a notepad that understands the web. You might think it was nuts to also include an outliner — but, in a way, it wasn’t. I was actually pretty proud of this work, but I dropped it for NetNewsWire 2. It really needed to be a separate app. The plan was to separate the blog editor into a separate app — which became MarsEdit. The outliner was also supposed to be split out into an app called MoonLiner. And the three app icons would be the Earth, the Moon, and Mars. Mars the farthest away, because that’s what you’re actually putting out there. The Moon for your notes and research and saved items. 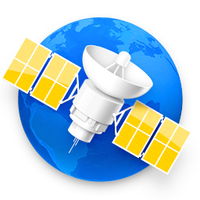 My idea for the icon was something like a passenger jet in space — a MoonLiner — with the moon as background. But I had my hands full with just splitting out MarsEdit and all the new features in NetNewsWire 2, and informal polling told me that pretty much nobody used the outliner component, so I dropped it entirely. Plus: I already loved OmniOutliner!